N 48° 3' 53" and E 11° 39' 47"
Ottobrunn in Upper Bavaria (Bavaria) with it's 19,204 habitants is located in Germany about 318 mi (or 511 km) south of Berlin, the country's capital town. Current time in Ottobrunn is now 01:39 AM (Sunday). 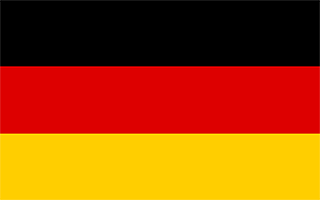 The local timezone is named Europe / Berlin with an UTC offset of 2 hours. We know of 12 airports close to Ottobrunn, of which 5 are larger airports. The closest airport in Germany is Oberpfaffenhofen Airport in a distance of 18 mi (or 28 km), West. Besides the airports, there are other travel options available (check left side). There are several Unesco world heritage sites nearby. The closest heritage site in Germany is Pilgrimage Church of Wies in a distance of 44 mi (or 71 km), South-West. We encountered 2 points of interest near this location. If you need a hotel, we compiled a list of available hotels close to the map centre further down the page. While being here, you might want to pay a visit to some of the following locations: Neubiberg, Hohenbrunn, Unterhaching, Taufkirchen and Putzbrunn. To further explore this place, just scroll down and browse the available info. Let's start with some photos from the area. 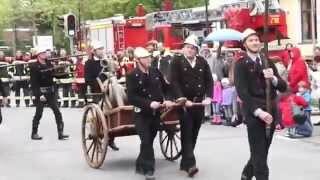 Festzug zum 100-jährigen Jubiläum der Freiwilligen Feuerwehr Ottobrunn, Landkreis München. 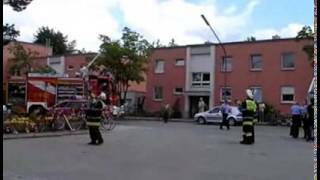 Die Abordnungen der Feuerwehren zogen an dem Ort vorbei, wo vor 100 Jahren alles begann. Ein paar Aufnahmen vom Hagelschlag in Ottobrunn, aufgenommen am 27. Mai 07. 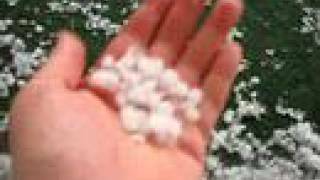 --- Some hail impressions, recorded in Ottobrunn, May 27, 2007. Daaaaa ist das Ding :) Unser Harlem Shake! Danke Jungs wir sind so pink :p.
Located at 48.1261, 11.6778 (Lat. / Lng. ), about 4 miles away. Located at 48.0946, 11.6146 (Lat. / Lng. ), about 3 miles away. Located at 48.1, 11.7167 (Lat. / Lng. ), about 3 miles away. Located at 48.0229, 11.7156 (Lat. / Lng. ), about 4 miles away. Generali Sportpark is a multi-use stadium in Unterhaching, Germany. It is used mostly for football matches and is the home stadium of SpVgg Unterhaching. The stadium is able to hold 15,000 people. Located at 48.0736, 11.6156 (Lat. / Lng. ), about 2 miles away. Located at 48.0731, 11.6361 (Lat. / Lng. ), about 1 miles away. Located at 48.063, 11.6788 (Lat. / Lng. ), about 1 miles away. Located at 48.1167, 11.6583 (Lat. / Lng. ), about 4 miles away. Located at 48.1183, 11.6319 (Lat. / Lng. ), about 4 miles away. Located at 48.1083, 11.6469 (Lat. / Lng. ), about 3 miles away. Located at 48.1008, 11.6461 (Lat. / Lng. ), about 3 miles away. Located at 48.0947, 11.6428 (Lat. / Lng. ), about 2 miles away. Located at 48.0889, 11.6453 (Lat. / Lng. ), about 2 miles away. Located at 48.1306, 11.6708 (Lat. / Lng. ), about 5 miles away. Located at 48.1258, 11.6469 (Lat. / Lng. ), about 4 miles away. Josephsburg is an U-Bahn station in Munich on the U2. Located at 48.1267, 11.6342 (Lat. / Lng. ), about 4 miles away. Located at 48.1261, 11.6631 (Lat. / Lng. ), about 4 miles away. Located at 48.0915, 11.6065 (Lat. / Lng. ), about 3 miles away. Located at 48.0803, 11.6381 (Lat. / Lng. ), about 2 miles away. Located at 48.0917, 11.6014 (Lat. / Lng. ), about 3 miles away. Located at 48.0833, 11.6333 (Lat. / Lng. ), about 2 miles away. Located at 48.1089, 11.6428 (Lat. / Lng. ), about 3 miles away. Located at 48.1222, 11.6278 (Lat. / Lng. ), about 4 miles away. These are some bigger and more relevant cities in the wider vivinity of Ottobrunn.